Køge passenger and car ferry ticket prices, timetables, ticket reservations and information for ferries sailing from Koge to Ronne. Compare all available Koge ferry ticket prices in real time and book the cheapest available Koge car and passenger ferry tickets sailing to and from Koge, Ronne with Bornholmstrafikken Ferry Line ferries online with instant confirmation. Book Koge Ferry Tickets with Bornholmstrafikken Ferry Line for ferries sailing from Koge to Ronne online in advance to enjoy the cheapest available ferry ticket price. The price you see is the price you pay. There are no hidden extras or surprises such as added fuel surcharges or booking fees and we do not charge you anything extra for paying with a Visa Electron card. The price we quote you for your selected Koge passenger or car ferry ticket, onboard accommodation and vehicle type is all you will pay, and that's a promise. To obtain a Koge ferry ticket price and book your ferry ticket securely online please use the real time ferry booking form on the left. You are also able to add a hotel at your destination, or anywhere else, to your ferry ticket when completing your ferry ticket reservation. Køge, city, eastern Sjælland (Zealand), Denmark. The city lies on Køge Bay of The Sound. First mentioned in the 11th century and chartered in 1288, it became a market centre and base for herring fisheries in the late 13th century. In 1677 Admiral Niels Juel won a great naval victory over the Swedes in the bay. Medieval remains include St. Nicholas Church (1324, rebuilt c. 1500), from the tower of which captured Wendish pirates (“Køge’s Chickens”) were hanged in the 14th century; the town hall (1570); and many old timbered houses (the oldest dates from 1527), one of which is the city museum. Industries include rubber and paint factories, sawmills, and chemical works. The land between Copenhagen and Køge is now an almost continuous strip of coastal suburbs. The oldest half-timbered house in Denmark can be found in Køge. It was built in 1527 and is now a part of the local library. The town of Køge to the south of Copenhagen has some of the oldest and best-preserved edifices in Denmark. Examples include the oldest half-timbered house and largest and best-kept medieval town square, Køge Torv. The town centre in general has many other half-timbered buildings, also well preserved. Yet for all its history, Køge is also a lively fishing port, catches arriving daily in the main port, with market days on Wednesdays and Saturdays. A little further away in the town, the marina provides berths for yachts and sailboats. The practical and ‘built to last’ approach can be seen in many parts of the town, including the Sankt Nicolai church, which also contains a lighthouse. The town hall is the oldest one in Denmark still in use. The Køge museum can enlighten you on the local witch hunts of 400 years ago, while the art museum close to it has on display the original model for Copenhagen’s Little Mermaid. The miniature town, Køge Miniby, shows how the town looked in 1865, reduced in size by a factor of 10. Best Price Guarantee - We always offer you our lowest available Bornholmstrafikken Ferry Line passenger and car ferries ticket price to and from Koge. There are no hidden extras or surprises such as added fuel surcharges or booking fees and we also we do not charge you anything extra for paying with a Visa Electron card. The price we quote for your selected Koge ferry ticket, onboard accommodation and vehicle type is all you will pay, and that's a promise! 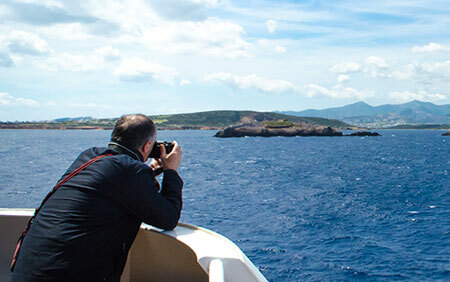 In the unlikely event you find the same all inclusive Koge ferry ticket cheaper in the brochure of any other tour operator we promise that we will do our best to beat that price or offer you the choice of requesting a refund. To book Koge car and passenger ferry tickets please click here. At ferryto.com you are able to obtain live Koge ferry ticket prices, check availability and book car and passenger ferry tickets to and from Koge at our lowest available ticket price. Ferryto.com is part of the world's largest online ferry ticket distribution network providing the ability to book over 80 major European ferry operators including to Koge and to over 1,200 other ferry routes throughout the UK, France, Spain, Ireland, Holland, Eastern Europe, the Mediterranean, the Baltic and North Africa.